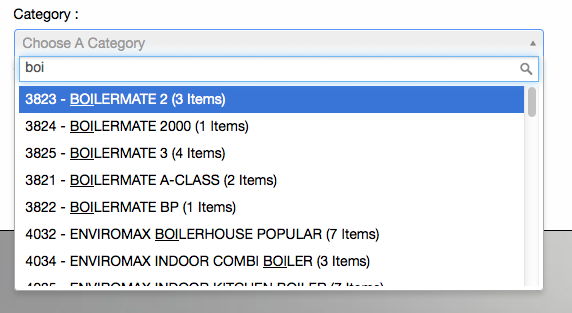 Jquery Select2 Plugin is an excellent Select box alternative. A little tutorial on the Select2 JQUERY Plugin with a BASIC AJAX response via a PHP script. On a recent project I was looking for an autocomplete jquery plugin that acts like a select box. The reason i need it as a select box is to prevent incorrect data choice. At first i was running the great jquery-ui plugins and using the autocomplete via a text box and retrieving data via ajax and json. However I soon discovered that my clients could type data in the textbox and if the answer was not on the autoselect it added the text they have typed. Now when trying to search through a database for results this caused me a bit of a headache. So i plodded over to Google and looked for an alternative. There is now a newer version of the Select 2 plugin available. This is V4 at present. They have altered the way the ajax works so this tutorial will not work with this version. To view an updated tutorial for Select2 Version 4 click here. I understand that the Jquery-UI version has a bind method for select but it just seemed a bit messy and the coding was not the easiest to follow. http://harvesthq.github.com/chosen/ and this was an excellent plugin. The only problem i had was loading the data via ajax for a keypress. For my particular project I had 68000 titles in a database i needed to search. Now that makes for a large select option list. So I plodded back onto Google and found a link via Stack-Exchange for a plugin called Select2. So i thought i would give this a go… Only issue was the ajax example was not easy to follow as they have used an advanced options to retrieve data from rotten tomatoes. But this was the plugin I wanted. with the an easy ajax answer. I am writing this post to show you how to use php to send the json back to the ajax request. Notice that because I am using ajax to get the result the field has to be hidden. The name is the used as usual to send the value through the form. The data-placeholder appears as the select box placeholder. This means that the ajax will not get called until 2 characters have been entered into the search box. After 2 characters have been entered it does an ajax onto optionlist.php (change to your php file). Datatype is set to json as the data is sent back from php via json. term is characters entered and q being the string that is sent to the script in the form of a GET. The results are then returned to data. So the php script (optionlist.php) is a mysql query on a database to get a json string back. This will show the text in the select box and the value of the input will be the id..
Now for the magical php script. I am using pdo with a prepared statement for added security. I am not going to show connection proccess. How advanced you make the mysql query is entirely down to you. In my picture I join the mysql with a products database with a count to give me back the amount of items shown. Please feel free to drop me a comment if you spot a mistake or you have any comments or suggestions. I’ve been looking for both sides (php and js) of a tutorial for select2 and this is the first good one I’ve found. Thanks a lot for publishing this! Cannot get this to work do you have a demo page? Great tutorial, i googled for a select2 tutorial as it is the first time i will be using it and your website came up front ! it’s a really good startup toturial ! i will give feedback once i integrated it with my project. I was on the point to give up with select2. The query is so bad explained on plugin page but with the help of your tutorial I will go forward and keep using it. Thanks for the update , i have updated the code accordingly.. It is great post! Thank you! Thank you for this clear example! Nicely spotted. I have added the ” to the end of the sql query. such a great tuto. Really cool. How is it possible to define selected value for the list. Actualy, once the form submited and the page reloaded, i would like to see the selected value on the field. it actually defeated me in the time span I had to find an answer to this question. I know its a bit of a work around but i used an extra input field (readonly) that appears if it detects a post and display the value in there. As soon as keypress is then made in the select you could use jquery to hide this field. When i get a moment I will take a second look and see if i can find a way around it properly. Do you have something ready for that? Thank you for the example, helped me out a lot! Thank you man! This Select2 tutorial helped me a lot! This documentation is the best, thankyou for providing this. Ok, i honestly have spent at least 12 full hours on resolving my problem with Select2-Ajax-multiple select…you pointed me in a good direction and just made my day. THANKS!!! Hello, i’ve followed this tutorial and got it to almost work. The only problem is that when there are no results, it keeps on searching, it never show me “no matches found”. Any idea ? But if i use your php example the dropdown will say “loading failed”… why? Thank you very Much this helped me alot!!!!!! !